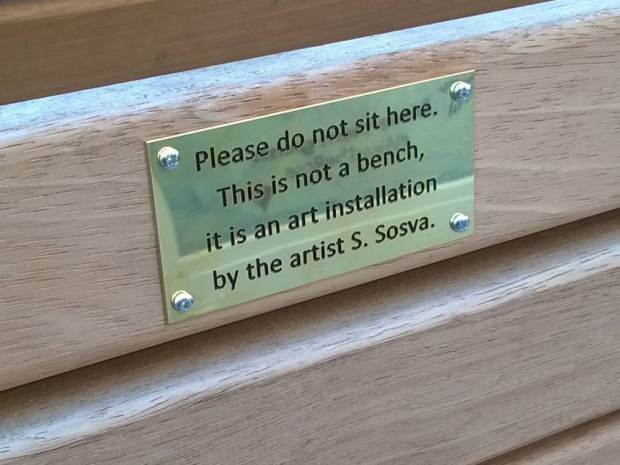 A council has removed a series of spoof plaques that were placed on benches. 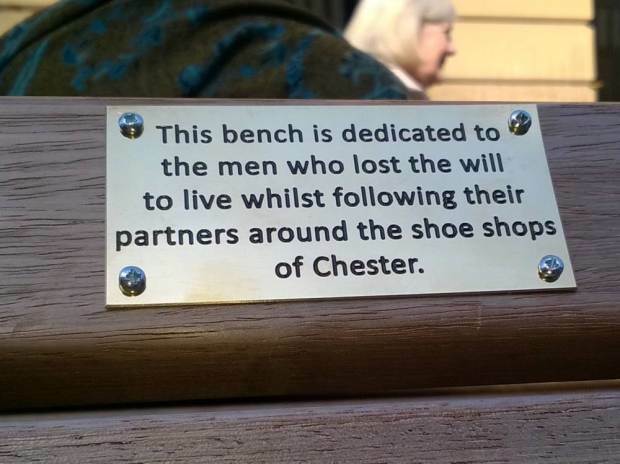 Council officials in Chester weren’t amused by the funny plaques, which were put up to protest Cheshire West and Chester City council’s proposals to introduce a Public Space Protection Order to address antisocial behaviour in the area, The Telegraph reports. 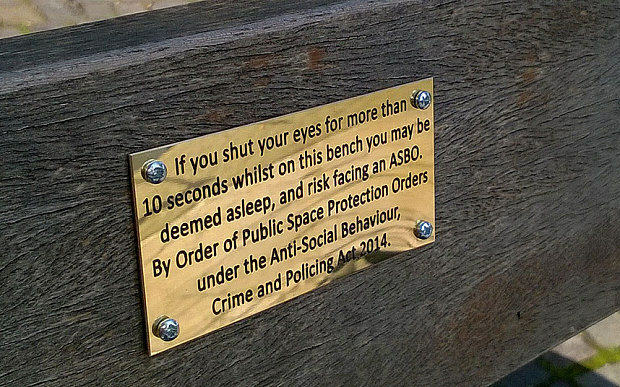 Thousands of locals have signed a petition against the Public Space Protection Order, and the two street artists responsible for the plaques claim they put them up as they feel the plans would ‘target the homeless and socially vulnerable’. 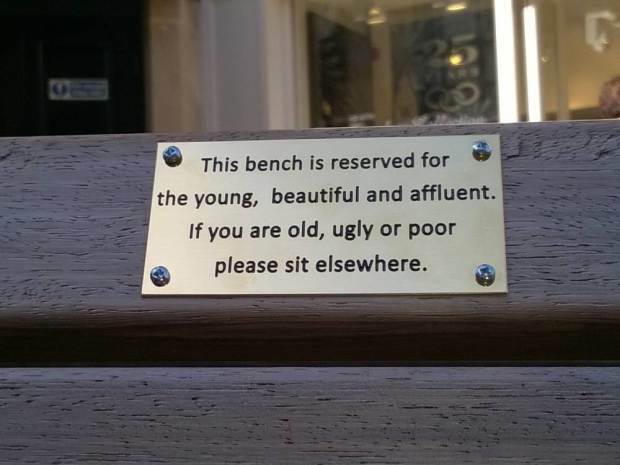 The council has removed the signs now, as they were worried some people might be offended by them.